The Sheriff is the only locally elected constitutional law enforcement officer of the Commonwealth of Virginia, as provided in the Constitution of Virginia, and is elected by the citizens of his or her locality every four years. Accordingly, the duties of the sheriff are not spelled out in any one document, law or regulation. Law Enforcement – Sheriffs are responsible for primary local law enforcement in all counties without a police force, but also have responsibility for law enforcement in all localities in which they serve. In eighty-six of Virginia’s counties, the sheriff is the primary local law enforcement agency, responding to all of the crime calls and calls for service from citizens. Jail Administration – The Code of Virginia provides that sheriffs are responsible for all locally operated jails. Sheriffs also sit on all regional jail boards, and in some cases operate regional jails in Virginia. As such, sheriffs are responsible for transporting inmates to and from state institutions and maintaining security in local jails while transporting inmates to trials and other community services as required by local jail standards and court orders. Today, local jails range in size in Virginia from a few dozen inmates to over a thousand inmates and the operation thereof can be, and is, a very complex system of services to the jail community. 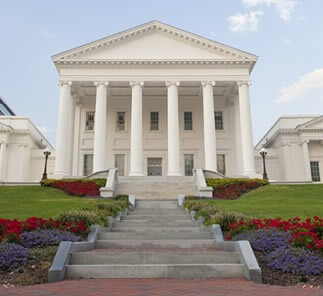 Service to the Courts – Court services are the responsibility of all Virginia’s sheriffs. In each locality, the sheriff is responsible for the security of the courthouse, the courtrooms and the trials while they are underway. Sheriffs are responsible for the security and sequestering of the jurors and notification of jurors for court service. Additionally, sheriffs’ offices are responsible for the service of hundreds of thousands of court papers per year, ranging from divorce proceedings and child custody cases to simple civil suits among citizens. In addition to these services, sheriffs are called upon to promote DARE programs and services for victims and witnesses of crime as well as participate in civil commitments to the citizens of their locality to protect the basic health and welfare of those citizens.